Silver Sage Baptist Church Celebrating & Sharing God's Love. You and your family are important to us! So our Church Family is committed to seeking God's will and plan for you and your family. We seek to do this through Bible Studies, Prayer, Worship, Fellowship, and Encouragement. Our desire is to build an atmosphere in which you and your family can grow in the abundant life God has for us through His Son Jesus Christ. When you visit us, you will discover that we have a warm loving family environment. Growing together, we worship, we serve, we laugh, we love, we cry, we learn, and we reach out to our world with the life changing message of Jesus Christ. We reach out to you. Our doors are open. Our hearts are open, too. If you've been thinking, searching, hoping, and praying for a place to belong, we invite you to become a part of our church family. Potluck for Birthdays and Anniversaries, once a month following the Morning Worship. Once a month we celebrate the Lord's Supper. Easter Egg Hunt, on the Saturday before Easter. Harvest Festival Oct. 31st. Join us as we celebrate God's blessings. A safe free festival where we have fun and lots of candy! Christmas Program the Sunday before Christmas. the Utah/Idaho Southern Baptist Convention, and the Southern Baptist Convention. 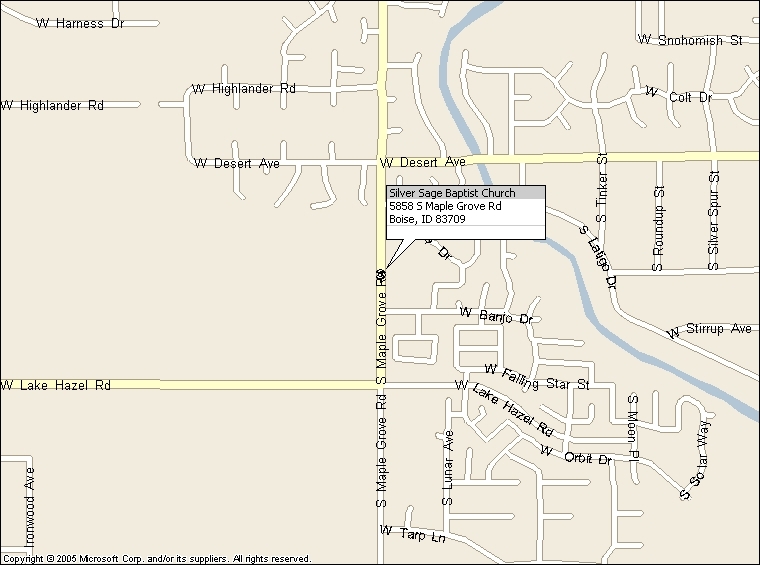 We are located at 5858 S. Maple Grove Rd.